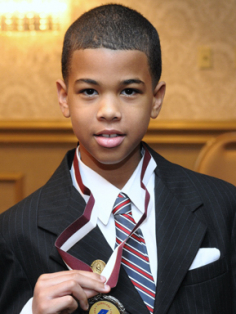 Carson Scholars are academically gifted and socially responsible. Every year, thousands of students from across the country apply to become Carson Scholars – and we need your help to ensure that we can name as many Carson Scholars as possible. 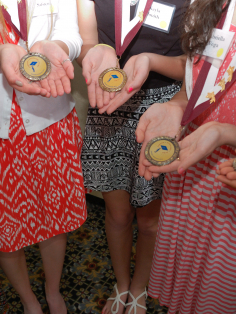 Funding an Annual Scholarship ensures that a deserving student will be recognized and rewarded. You can designate an Annual Scholarship for a specific school or area, or you can leave it open to be used for the most deserving student in the country. The $1,500 breaks down as follows: $1,000 scholarship (held in trust until the student graduates from high school and enrolls in college); and $500 used for a recognition package that includes attendance at one of our annual awards banquets. A donation of $30,000 (at once or in installments) ensures a Carson Scholar at a school of your choice in perpetuity. Every year, the school will have the opportunity to nominate three students, and our panel of judges will select the winner. Endowed Scholarships are a great way to ensure that our mission – to recognize academics and community service and support role models – is truly achieved within a school’s community. If you don’t have a specific school in mind, you can designate your Endowment for an area or based on other characteristics. We are happy to work with you to determine the best use of your Endowment. There are many other ways to help as well. 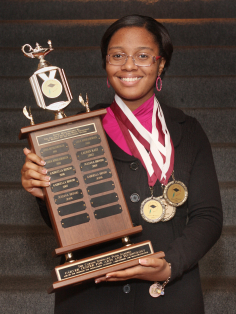 Donors can sponsor recognition packages, medals, trophies, and more.